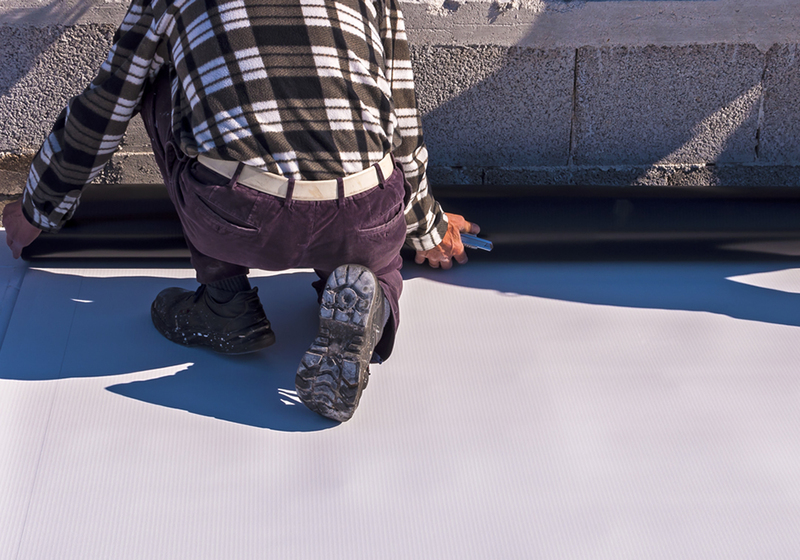 EPDM roofing is a standard choice for commercial buildings and offers a number of important benefits, including a reliable performance in the face of harsh weather and extremes in temperature. 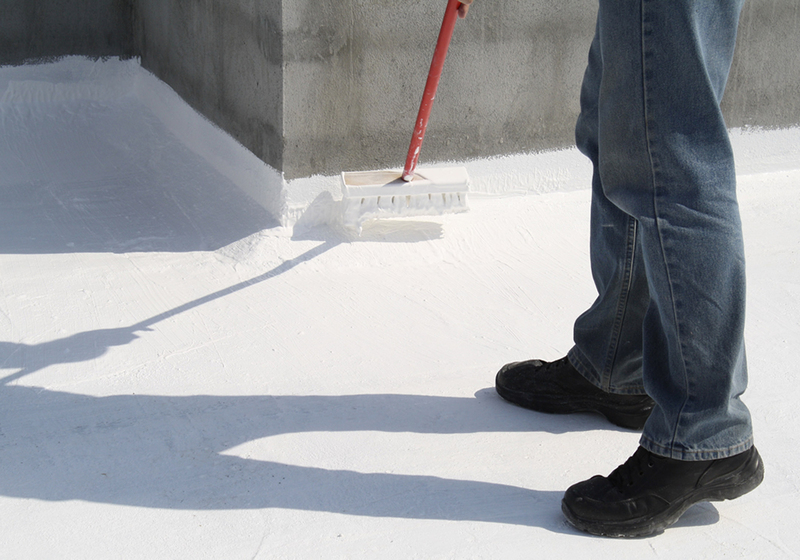 When we work on your flat roof, we handle every step with care, from making measurements to applying adhesives. As a result of our superlative work, you’ll be able to enjoy a roof that retains its strength for years and gives you a satisfactory return on investment. 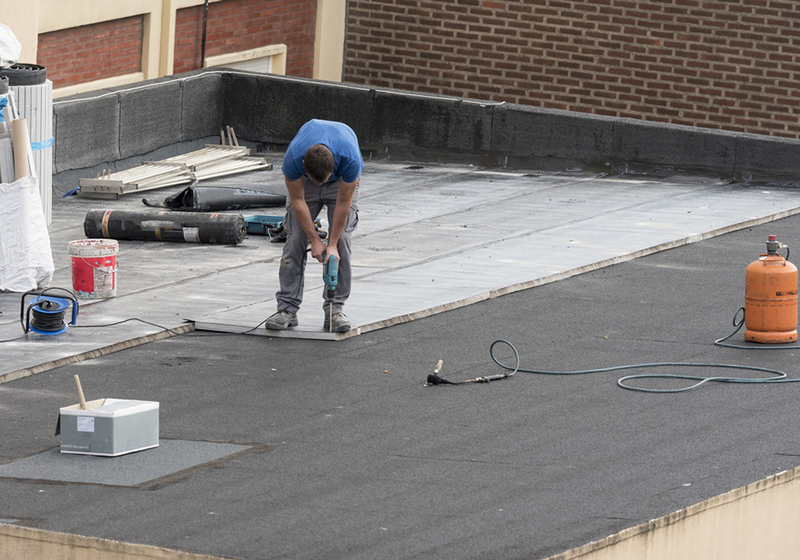 TPO is a newer type of material for roofing, and its popularity has shot up in recent years, leading to its widespread use across a variety of commercial buildings. 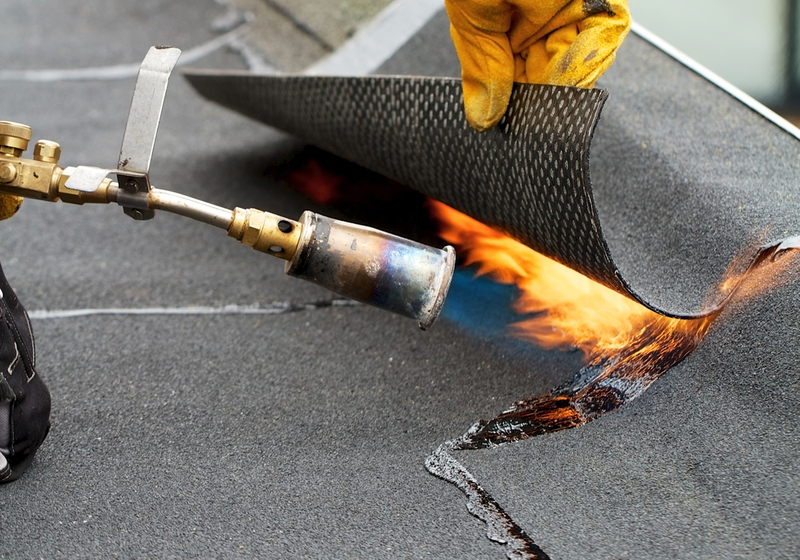 With our expert services, your roof will be welded properly and ready to take on the elements. Your building will receive superior protection and enjoy some of the benefits of energy efficiency that this type of roof can provide. A metal roof has many helpful properties. These include impressive longevity and a resistance to rot, water seepage, and fire. Metal can also boost your building’s energy efficiency, resulting in reduced energy costs and less of an impact on the environment. We’re capable of working with different kinds of metal roofs, and we can help you pick a cost-effective roof that makes your investment worthwhile. By giving your roof additional protection, we help it do its job of protecting your building and preserving comfortable indoor conditions. The right coating will exert a powerful restorative effect on your roof. The roof will be able to last for a longer time while preserving its important qualities, including weather resistance and energy efficiency. We help you choose the coating that’s appropriate for your roof, and we perform the application with precision. We understand how much time and money you could lose from damage to your roof. Whether it’s ponding water on a flat roof, a leak that threatens the integrity of your building, or shingling that’s cracked or loose, we’re available for timely and effective assistance. We excel at diagnosing problems, and we’ve mastered a variety of repairs. When we perform a repair, it lasts. We’re adept at working with a variety of roofs, including those that use shingles. Shingle roofs open up possibilities for different materials and styles. 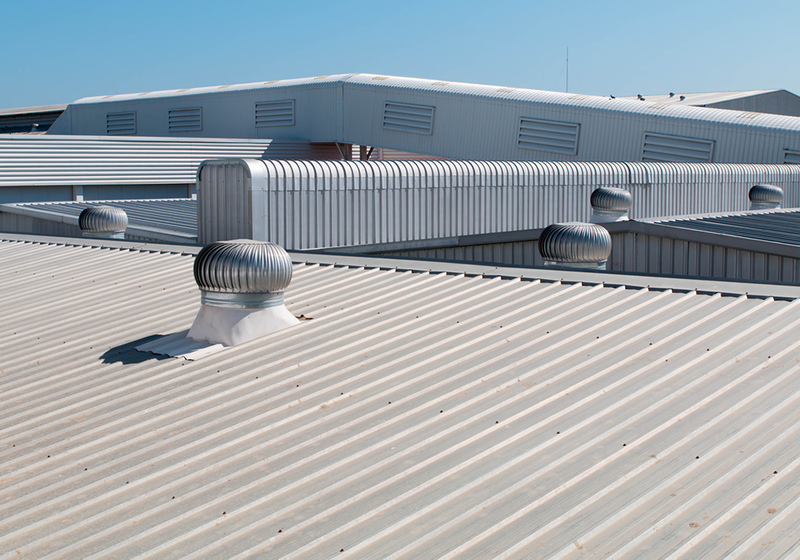 If the materials are chosen expertly, and the installation meets exacting standards, your commercial building will have a roof that’s dependable, durable, and striking in appearance. Feel free to contact us for an inspection of your building and a discussion of the possibilities. Even as we stick to your budget, we don’t skimp on the quality of the materials. No part of your roof should be defective or shoddy; you deserve a roof that won’t let you down. The materials we choose will last and give you long-term benefits. It’s important to us that you receive lasting value from your investment in roofing products. In addition to offering you reasonable prices for initial installations, we find ways for you to save money over longer periods of time. We respect your time and the demands of your schedule. Before starting any project, we make sure we’re working at your convenience. We aim to minimize interference and prevent disruptions that will lead to exasperating and costly delays. It’s inconvenient and painful to watch a roofing project drag on and get bogged down in inefficiency. Without being careless or neglectful, our team works quickly to provide you with the commercial roofing services you need. Our company is a REIT publicly traded on the NYSE. We have over 90 properties in 24 states and we have used Fahey Roofing in any case needed near their location with no hesitation. They are always prompt, through, and on budget. Best of all, the few times we needed a call back they arrived promptly with an attitude of always wanting you to be thoroughly satisfied. Our company highly recommends Fahey Roofing in any circumstance. Very pleased with the service. Fahey was always ready to answer questions, concerns, and did so professionally and timely. The new roof looks amazing, and it’s up much faster than I anticipated when I started shopping around. Highly recommend! The team called each morning to communicate arrival time. The roof has a very steep pitch so the team each suited up with safety gear each day, peace of mind for me as the home owner. I went with shingles on this roof and it looks great. The team cleaned up each evening before leaving my home. Very professional group of guys. I am going to send them to my brother for a roof replacement. Thanks for removing the old shingles before installing new roof. Fahey Roofing has done 4 roofs for me, and has always done a great job! I have rental property and when doing a roof I would rather a large crew to get it done as soon as possible with out jeopardizing quality, these guys have it, they had a crew of 6 working on my roofs they have done 2 metal roofs about 3-4 years ago and I have had no problems at all with them. They just finished up 2 shingle roofs for me this week, the last one they did when they removed the shingles discovered the whole roof was in need of new wood , witch I had not planned on, Josh ( owner) was quick to work with me on the price, to get the job done right! Daniel and the crew was all professional & kept me informed , and left the job sits free of any debris , only way you could tell they where there is a nice new roof! 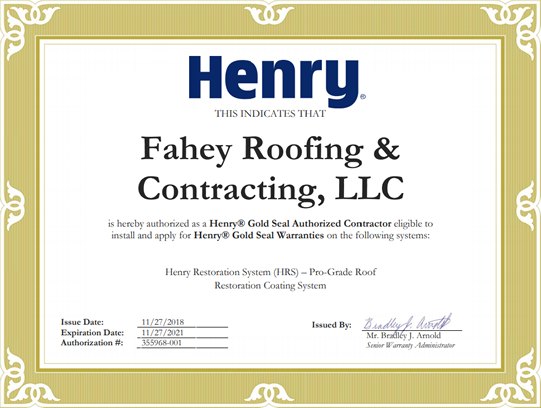 This is the second time we have worked with Fahey Roofing; they put a new roof on our house about five years ago and we were completely satisfied with their work then. When we were purchasing a house for our son, who has autism and will live there with a housemate and staff assistance, we called on Fahey for a roofing inspection. Terry, the young man who did this work, was not just prompt, but early. He was professional, yet engaging and friendly. His inspection was thorough and he was able to discern issues that escape the untrained eye. Though the news was not what we wanted to hear, his inspection saved us from making a costly judgment. We were able to negotiate a very good price adjustment on the basis of his findings. We have a contract with Fahey to put a new roof on the house. We expect nothing but excellence. We recommend Fahey Exteriors without reservation! After getting many quotes on a new roof I went with Fahey, guy who gave me quote was very nice and after setting it up they came just couple days later and did whole roof in 1 day, very pleased with how it looks and I would highly recommend!